Great people have great ideas. Our friends at Alliance Fire Protection Services have come up with an innovative way to support WAG – a Take Your Dog to Work day! For a small donation, employees sign up to bring their dogs into work with them for one day. 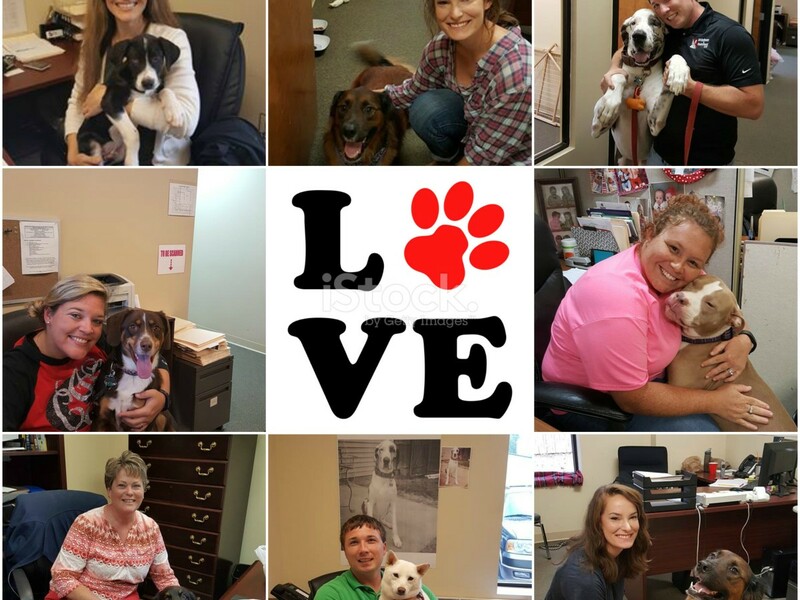 The employee has the fun of spending the whole workday with their pet, the whole office enjoys meeting furry family members and, through the donation to WAG, the program benefits other animals in need. We LOVE this idea! Ami and Poncho, Patty and Ollie, Ted and Merlin, Angie and Jack, Becky and Athena and Ted and Bella have been enjoying their workdays together. A big thanks to program creator Ami and everyone at Alliance for their ongoing support of WAG and the rescue community!